"Confidentiality and good belt speed "
In my job it is very important to have a lot of security when we connect to the Internet, since we handle internal processes that are central to our airline, such as flight itineraries, irregularities found in some travelers, construction of routes and audits that we do to each of our airplanes. This information must be handled only by qualified personnel and supported by the managers of our aeronautical consortium. This information is always distributed over the Internet to each of the responsible departments and so that this information is not leaked to third parties we use Lime VPN. A very complete software that offers maximum security every time we connect to the Internet to provide internal information either from our emails or from our audit system. We achieve this with this software that offers us an excellent speed in Internet access, in addition to many locations which have an excellent encryption of the information this allows the connection point to point is made effective. Finally, Lime VPN offers me a considerable amount of ip addresses that allow me to keep my connection location protected, avoiding external attacks that are intended to steal and manipulate the information I transmit to my supervisors or managers responsible for the activities. I have had the opportunity to use Lime VPN in different contexts and for many functions in my work, all these functions associated with internet connectivity, and I have not found a safer and faster software to surf the internet than Lime VPN. It is for this reason that I have no negative comments about this software. It is the most complete and secure VPN I have ever used. It is a very versatile and comprehensive software that I recommend to all workers who want to add better levels of security to their Internet connections. Lime VPN offers you many locations and ip addresses to connect to the Internet preserving the confidentiality and integrity of the information you send. A software you must use. Lime VPN has made great contributions to my job performance. On the one hand it gives me a feeling of calm and tranquility, as I do not worry about connecting to the Internet at the risk of being hacked and on the other hand my productivity has increased considerably because the speed of Internet connection offered by this software is one of the best I have experienced. Lime VPN translates into two words for me: Security and comfort. "An economical, reliable and very complete VPN"
Lime VPN is a software without comparison, it has many interesting features that make me use it permanently. It is one of the VPN that offers me more speed to surf the Internet, is a very economical software, I could say that is the cheapest VPN on the market today, and is quite secure thanks to its encrypted connection, which does not allow my Internet connection to be tracked. These features fit perfectly with my work dynamics, I can use my email and surf the Internet at work with complete peace of mind, has many locations to connect, allowing me to contact our customers and supervisors without this connection being violated by hackers. Finally I feel quite safe using this software since it has a very wide ip address pool, and I use this when I have to contact my bosses and maintain the security of the information I am transferring. In my incessant search for a VPN that would offer me what I was looking for, I went through many inconveniences and security problems when surfing the Internet, either to attend to my clients or provide information to my managers, until I got Lime VPN, which offered me everything I needed and I still use it today, for this reason I have no negative impressions of this software. Recommended for all workers who require a low-cost, fast VPN with a variety of locations to connect and very secure. The benefits that I just mentioned you will get using this software, designed to make your Internet browsing safer and faster. It is undoubtedly one of the safest, most complete and economical VPNs that can exist. Thanks to this software I have been able to experience an increase in my levels of security in the strategic information management of our Foundation, making both me and my bosses feel comfortable and safe when I transfer information to them. This software has added to my work, security, quality and resource savings as it is quite cheap and easy to use. "A software that keeps your internet connection secure and fast. " Our company is one of the most important in our country since we are a control entity of controlled chemical substances, we have information of commercial establishments, institutes of chemical investigation and suppliers of chemical substances for the elaboration of different products. For this reason we handle confidential information that if it falls into the wrong hands could cause serious problems for public health and for business establishments that entrust their information to our company. In this incessant search for optimal security levels for the use of our internet connection and the feedback we establish with our customers in this way, we have tested many VPN services, choosing LIME VPN. This software offers us the safest Internet connection in relation to other VPN, has more than 10 locations per country, has 20 servers and almost 6000 IP addresses at the disposal of our company; these features allow us to fully safeguard our Internet connections, making the information we handle in this way never fall into the wrong hands. In our company is mandatory use this software and we feel comfortable with this regulation, LIME VPN is very functional. fast and secure. There is no way or reason why you should list negative aspects of this software. Since I use it I have been able to experience its internet connection speed, the security it provides and its bandwidth, which is one of the best for connecting to the internet. Our team is very satisfied with this software. All companies looking for acceptable levels of security to connect to the Internet should purchase this software, as it is quite comprehensive and perfectly fulfills its functions of protection and encryption of our Internet connection. This software has made real one of the greatest desires that our bosses had and was to provide higher levels of security for our Internet connections. We use the internet a lot and our database is full of confidential information about our customers, controlled chemicals and procedures and research of strategic interest to our company. This software has given us the security and comfort we were looking for, and thanks to this our pace of work has improved as we have more confidence to perform our functions at work. "A quite safe, reliable and economical software to use the internet. " This software has been a marvel for the fulfillment of my functions at work. Because I handle a lot of information about events and social activities with my clients and neighborhoods, it was necessary to get Lime VPN, which makes Internet connections very secure since I can fully encrypt my Internet connection from its infinity of servers. Every time I establish an internet connection at work I do it from this VPN, and I have many locations from which I can log in, so my IP address and my location are protected, and no data I am handling with my clients is recorded on my pc or on the web, making me use it confidently. Lime VPN is a very complete software that has never let me down and that's why I use it every day. It doesn't happen often, but sometimes my connection slows down when I use this software. It is important that the technical team of LIME VPN, make provisions in the maintenance of some servers or locations that you offer with your service. It is recommended for all those professionals who work in important companies and corporations, and require software to protect their Internet connection and therefore the information they send by this means, whether it be e-mails, confidential and strategic files for their company, and any other element that depends on the use of the Internet. I always recommend it when I talk to colleagues and professionals in my specialty, because it is quite useful. Since I use this software in my work I have seen how the levels of security in the handling of information for the elaboration of action plans for clients and neighborhoods has been safer to handle using corporate emails and our cloud storage. This software has made our office manage better levels of information management security, this contribution is very valuable to us. "Maximum security to use internet. " I currently work as a freelancer, and it is a necessity for me and my clients to have a good security deployment when working with clients, their information and the chats and emails where they send necessary information to meet their demands. It is on the basis of this argument that I was looking for a VPN for a few months to give me security when using the web, and I got one of the most complete and cheapest software, Lime VPN. I use this software to establish a connection with my clients because I can encrypt the entire Internet connection without any risk of stored information such as location data, ip, cookies and other traces that allow other people to hack the information. A software which my own customers who have requested to use it when I connect with them because they feel safer and me too. It is quite easy to use, and has many locations to connect. At times I have not found any negative features of this software, on the contrary, every day I feel more convinced that I have made the best choice with this VPN; it is very reliable, fast and easy to use. I have no criticisms regarding its tools, functions and use. If your concern is to have good levels of security, good connection speed and encrypted connections this is the time for you to acquire this software, which has all the features so that you never have to worry about insecure Internet connections again. Use it with confidence, you won't regret it. This software has added to my professional performance as a freelancer a lot of seriousness, safety and comfort. Using this software has allowed me to have better professional contracts, and a wider portfolio of clients because they feel comfortable and safe handling their information and me too. "With LimeVPN I use very quiet and safe internet "
Before using this software I tried several VPNs looking for the one that best fit my needs and demands and I have not used a better VPN than Lime VPN. This software gives me a lot of security when using the internet since it encrypts my connection and hides my location and IP address, enough reasons for me since I manage the logistics of my foundation, and the information we handle about requirements and prices is of absolute interest to our foundation and it is not convenient that this information gets into the hands of hackers. Another of the elements that I highlight of this software is that it is quite cheap, and offers very good options and tools that make it one of the best VPN in the market. As I mentioned before I have tried other VPN taking into account aspects such as the speed of navigation on the Internet, the security of my IP address, the number of locations to connect and the speed of the Internet with these VPN, and I have not got a better one than LIME VPN, for this reason I have no criticism about this software. I recommend this software not only to foundations but also to all companies that need to strengthen their security when accessing the Internet. Although it may seem basic, Lime VPN is one of the best software on the market and its price-benefit ratio is very good. Use this software and you won't have any more security problems. Previously we were afraid to connect to the Internet in our work and send information because we had had the experience of other colleagues where they had hacked their Internet connection removing strategic information from their foundations, however, after acquiring Lime VPN this fear no longer exists and we work confidently and securely.
" 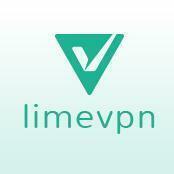 A very easy-to-use VPN"
LimeVPN has many powerful features, but I love the no-log policy most. The company doesn't keep my connection and DNS logs. It makes me sure that my idenity and other information won't leak. The company also offers high-speed standards and unlimited bandwidth, which provides me fast uploading and downloading. They have very helpful support and they helped me when I had problems with running the software. There is nothing I can dislike. The interface is very user friendly and intuitive. Also running and configuration is efortless. Jeżeli zależy, ci na bezpieczeństwie powinieneś rozważyć zakup limevpn. I am one for the freedom of the internet, so I also use Tor Browser. This VPN offers special option "TOR OVER VPN", which helps me stay anonymous in public network. I feel certain my IP is kept in secret, while I am using it. * We monitor all LimeVPN reviews to prevent fraudulent reviews and keep review quality high. We do not post reviews by company employees or direct competitors. Validated reviews require the user to submit a screenshot of the product containing their user ID, in order to verify a user is an actual user of the product. Hi there! Are you looking to implement a solution like LimeVPN?